Cape Breton University is a national leader in teacher education for sustainability. Since 2012 the Education Department has made Education for Sustainability a core focus and central to its mission. All B.Ed graduates complete the course Teaching and Learning for a Sustainable Future. In 2016 CBU launched its one of kind online M.Ed in Sustainability, Creativity and Innovation in partnership with the NGO Learning for a Sustainable Future. 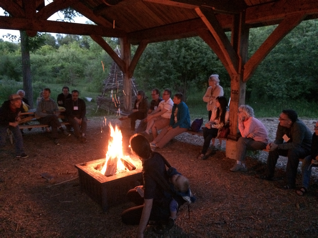 At Trent University in June, Dr. Patrick Howard represented CBU Education Department at the National Roundtable on Environmental & Sustainability Education in Pre-Service Teacher Education. 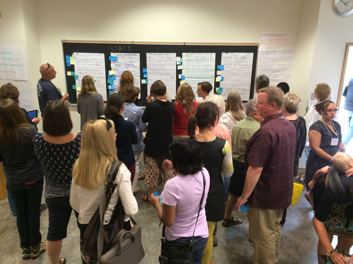 Over 75 delegates from across Canada met in person to discuss, analyze, share research, and plan future directions to make Environmental and Sustainability Education (ESE) central to programming in Pre-service Teacher Education across Canada. Representatives from faculties of education, NGOs, ministries of education, policy agencies, and school boards shared their expertise and experience to develop new initiatives, plan potential collaborations, and strengthen their networks. The leadership of Cape Breton University in pre-service teacher education for sustainability was widely recognized at the Roundtable. Since the June meeting at Trent University the results of working groups and roundtables were collated, transcribed, and analyzed. The information, knowledge, and expertise provided by the Roundtable delegates, will result in the creation of a National Action Plan and Declaration. When published, the National Action Plan will provide the blue print to make environmental and sustainability education central to all pre-service teacher education programs across the country. Cape Breton University is ready to continue its leadership role and to assist in the developing of national networks across faculties and disciplines thereby enabling joint discussions that will explore and theorize relationships and issues among social, economic, and environmental dimensions of sustainability. These processes of inquiry, theory development, and critical dialogue that were evident at the National Roundtable at Trent will continue through the Action Plan. Open dialogue is crucial to the process, as opposed to imposing the concepts of environmental and sustainability education (ESE) on others. That people interpret ESE differently was readily apparent at the Roundtable. Yet, this diversity of interests and priorities should be viewed as a positive opening and a way to develop a critical discourse to make environmental and sustainable education an open question for examination in the unique socio-political and socio-ecological contexts within which we work. The Action Plan is expected to be published in Fall 2016.